Saturday morning sunrise reveals the layer of clouds for it to hide behind as it raises up. It was so dull outside I was surprise to see this. When I zoom in I can make it look like the whole sky is yellow. No, it really isn't at all. 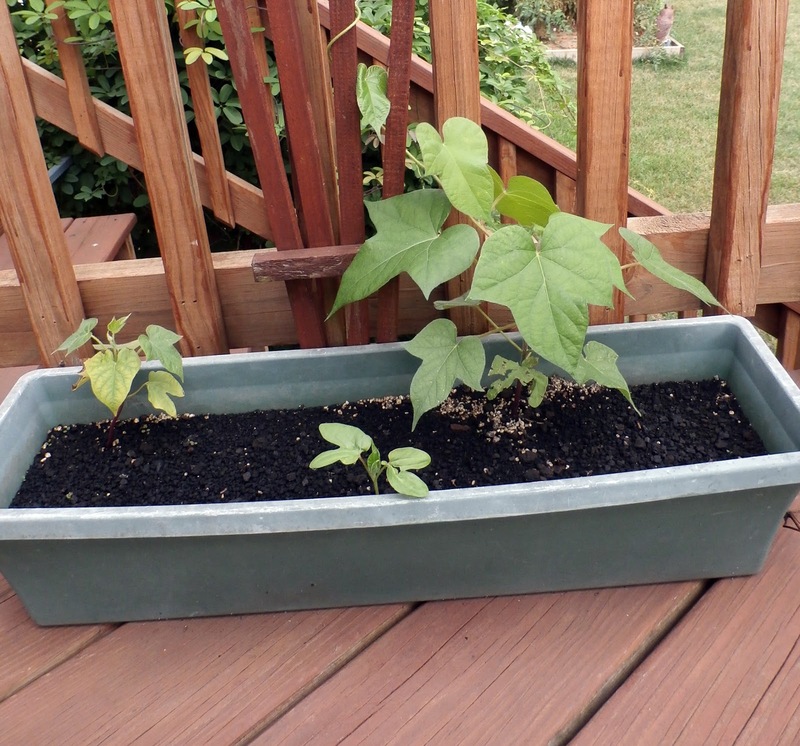 I planted harvest seed from my last years morning glories. I didn't have a single seed sprout. I bought see and it all sat there for weeks with now sprouts. Eventually three seeds did germinate and now the one vine is starting to twist around the trellis board. I was almost ready to dump th smile but they did grow. The numbers of seed planted here are plentiful. I will be anxious to see if I get to see any blooms from that one vine. 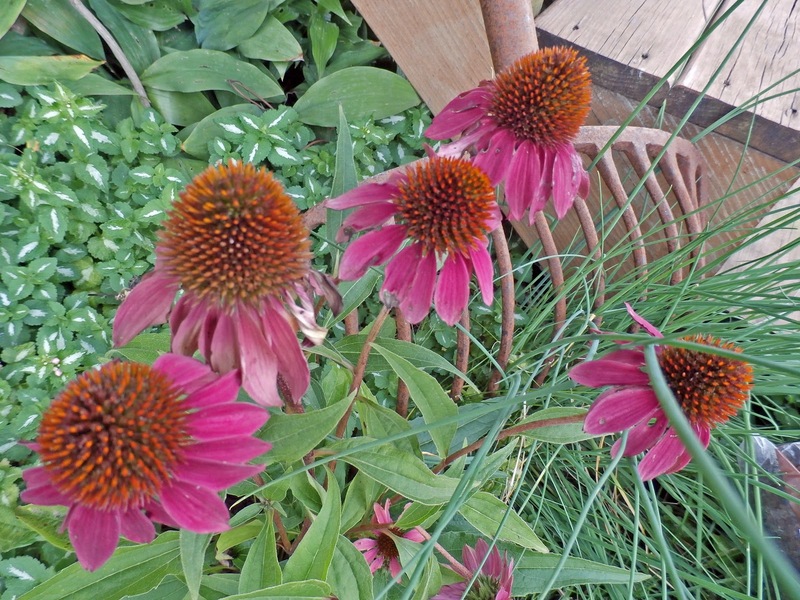 The coneflowers have rooted in well now and I am certain they will show up again next year, bigger and better. The older they get the more the colors fade. Here is the daily rose report with the bud opening up with multi petals. 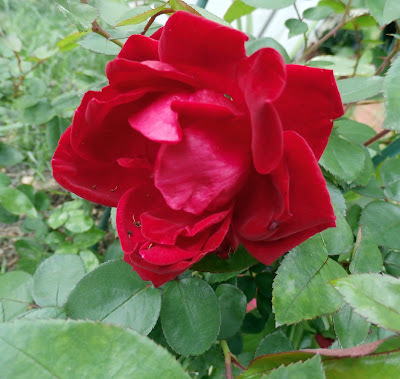 The color of red is a good one and I have many buds yet to bloom. It is Saturday and I do have things to do. I don't have the ambition to do them so we will see what happens. I will drink my coffee for now and watch "This Old House" rerun and think about my nest move. I wish everyone to have a great weekend. Stay safe and well out there. Thanks for stopping by today. Glad you finally got your morning glory. Lovely coneflowers and rose! That was a beautiful sky, Larry.